Every time I post a picture of my workspace on Instagram or Facebook, people want to know, “What writing program are you using?” Or, “Is that Scrivener?” No, it’s not Scrivener, but I’m surprised more people don’t know what it is. 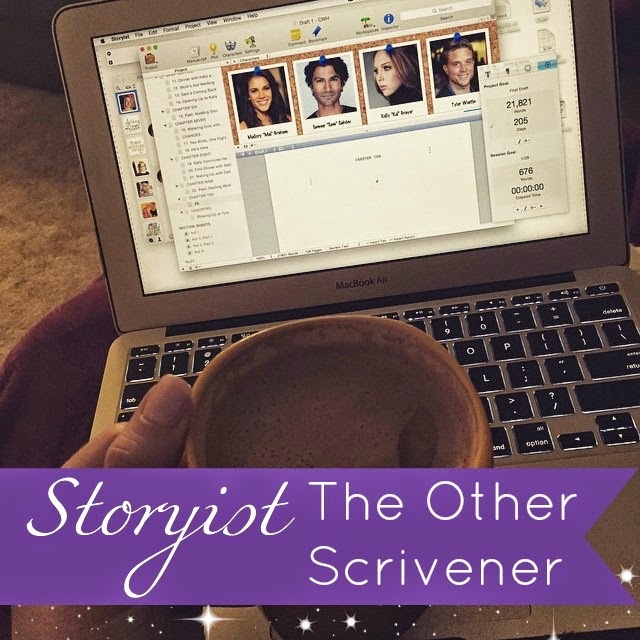 The program is called Storyist and today I’m going to tell you how it’s similar to Scrivener, how it’s different, and why I switched. I was first introduced to Storyist when I got an iPad. Up until then, I’d been an avid Scrivener user and promoter, so the very first thing I did before I even bought my iPad was go to the Scrivener website to see if they had an iPad app. They didn’t. They promised an iPad version was coming but that was over two years ago and I have yet to see an app happen. So I went on the lookout for an novel writing app and found Storyist. I was so happy with the app that when I bought a new laptop, I decided to stick with it. So let me tell you more about Storyist. Chapter and Scene Breakdown. In my opinion, the best reason to use any novel-writing software is the chapter and scene breakdown. To me, there is nothing worse than scrolling through a never-ending Word document to insert a new scene, or especially to reorganize several scenes or chapters. Both programs allow you to create sections for new chapters and new scenes, and lists them in a menu on the left for easy navigation. This alone is worth the cost of either program. Split-Pane View. As you can see in my picture above, I like to be able to look at my characters as I work. You can also split the screen to see your index cards as you write, or between two different scenes–say, if you want to copy from one and paste into another. The both also have full screen view to limit distractions. Index Card Outlining. Another must-have feature for noveling. In both programs, you can create a index cards for each scene with notes about what you’d like to include in that scene. Index cards will link directly to individual scenes, making it easy to switch from outlining to writing, and allowing you to move them around freely as your story changes and grows. They both have outliner views as well with a list of the chapters and scenes with the details you’ve written in. This is such a helpful way to stay organized. Sections for Research and Images. Instead of having information spread out throughout multiple programs and notebooks (Oh, who am I kidding? I still do this. ), there are areas in each program to collect research, notes, and images. iPad App. As I mentioned before, Storyist has an iPad app, which Scrivener does not yet have. Some might not be interested in this and I now mostly use my laptop, but one thing I loved about writing on my iPad was the portability and comfort. If you like using an iPad, you could get a bluetooth keyboard and work almost exactly like you do on a laptop, though there are not as many features on the iOS version. The one downside is at this point, the iOS and Mac versions to not sync with each other. Story Sheets. At first these things weirded me out. They are pre-formatted for characters, settings, plot, and sections, and it took me a couple tries to understand how to use them. Once I figured them out, though, I kind of fell in love with them. They’re hard to explain in a blog post but you can check them out here. One of the coolest things about them is you can link them to each other–like if you’re working on a plot sheet, you can link to the important characters involved in that plot point for easy navigation to the character sheets. Compiling. For me, this was the clincher. The thing that always drove me crazy in Scrivener was that compiling was so complicated and I never could figure it out. When I did manage to get my novel into Word, reformatting it took so much time. When I was giving pages to my critique partners every week, I wanted to tear my hair out doing this week after week after week. In Storyist, it’s already compiled and formatted as you work. It’s broken down by chapters and sections, yes, but it’s also one big document that you can scroll through freely and that is formatted as you go. Whenever you need to share your pages, you can just export it into Word and all the formatting sticks. Simplicity. What you see on my screen in the picture above is what you get. That’s all the buttons and all the features (aside from the formatting and preferences provided in all programs). No, there are no major editing features, no tagging and tools and color-coding and cross referencing. You’ll still find a comment feature, a bookmark feature, and target goals, but otherwise you can just open the program and get to work. 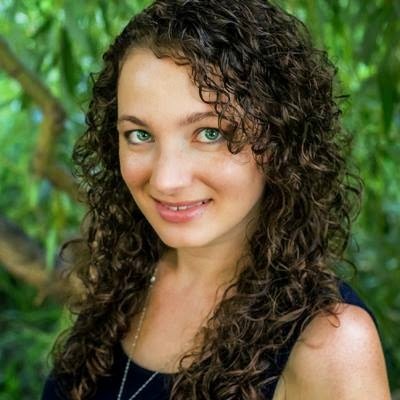 If your novel-writing software needs aren’t extensive or technology overwhelms you, this could be a breath of fresh air for you. So for those of you who were curious, I hope I’ve answered some of your questions. If you’re interested in finding out more or want to download the program, you’ll of course want to visit the Storyist website. If you have any other questions, I’m happy to answer them to the best of my knowledge! Just leave a comment below or find me on Facebook! Although the Mac and iOS version don't 'automatically' sync together, they are both native to the Storyist environment. As long as the user is mindful of their workflow, Dropbox can be used to sync work done on a mobile device, to ones main workstation at home, or vice versa. I did a few experiments across Mac and iOS versions of Storyist and was successful at creating a document on one device and syncing it around to the other devices, making edits and syncing back, etc. It is possible. I will say again that it is not perfect and could definitely benefit from iCloud's automation. However, with mindful practice it is a doable alternative until the folks at Storyist implement iCloud functionality.